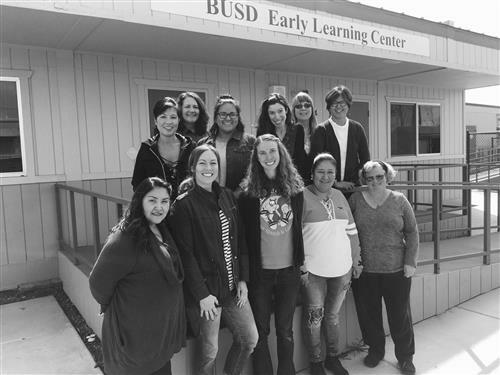 The BUSD Early Learning Center (ELC) is a collaborative multi-agency center which has been designed to meet the needs of our youngest students in the Bellevue Community. The ELC is located on Moraga Drive across from the Kawana campus. The ELC includes Head Start, State Preschool operated by North Bay Children's Center (NBCC), and district-operated special education programs. These programs provide opportunities for children ages 3-5 for full-day, part-day and specially-designed instructional programs. In addition, the ELC outdoor classroom is equipped with age-appropriate play structures and spaces that facilitate and support early learning. We appreciate the support from numerous local partners, including the Community Action Partnership/First Five, Sonoma County Health Services / Cradle to Career, Sonoma County Wine Country Weekend, North Bay Children's Center and the Sonoma County Board of Supervisors. Additionally, we appreciate the state and federal resources that provide support for our ELC.